Blowout Sale! Free Shipping Included! 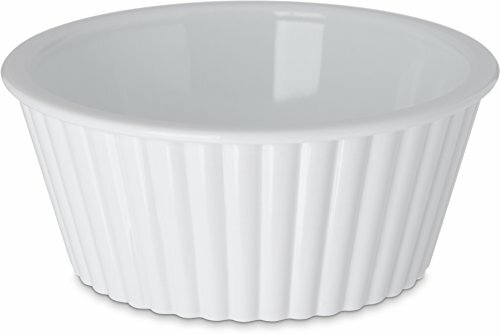 Save 61% on the Carlisle 084502 SAN Fluted Ramekin, 4.5-o.z Capacity, 1.50 x 3.50'', White (Case of 48) by Carlisle at Just Gathering. MPN: 084502. Hurry! Limited time offer. Offer valid only while supplies last. The Carlisle 084502 SAN fluted ramekin is round, white, and suitable for holding and serving butter, salsa, a sauce, a condiment, or another food.